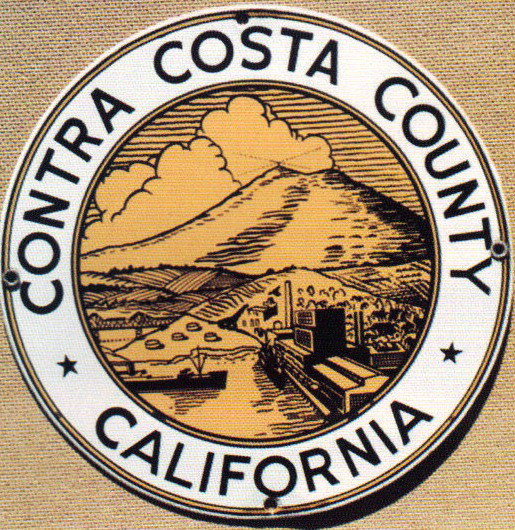 Municipal sign for Contra Costa County, California. The sign shows a landscape design in the center in a muted yellow color. The text is written in a circle around the outside.